Are you ready for your next cross-country adventure? 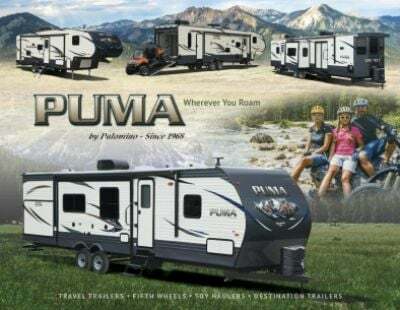 The 2020 Palomino Puma 32FBIS Travel Trailer makes your trips convenient, comfortable, and jam-packed with fun! You can find this wonderful model at All Seasons RV, one of the largest RV dealers in Michigan and the Midwest! Visit us at 4701 Airline Rd Muskegon Michigan 49444 to see this RV for yourself! You'll save thousands, as we carry the leading brands at the lowest prices! Give us a call at 231-739-5269 to learn more about this Travel Trailer! With its hitch weight of 985 lbs, this RV is easy to tow! The 3 flush mount slides reduce wind resistance yet open easily, as does the 21' 0" patio awning! With its sturdy GVWR rating of 10500 lbs, your family will enjoy years of camping fun! 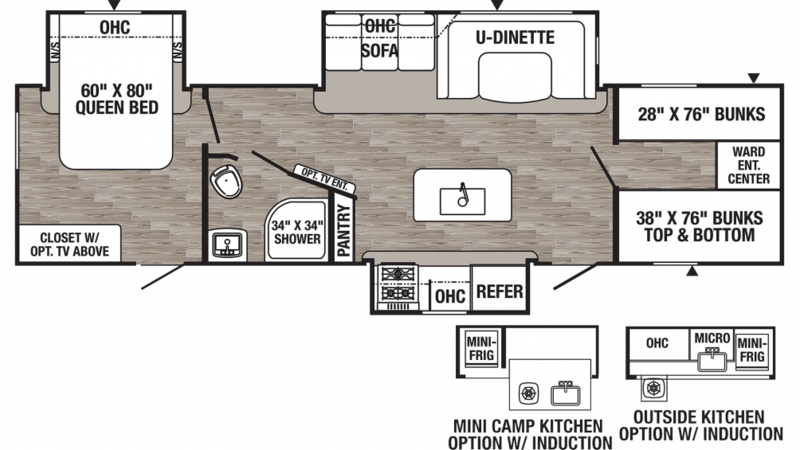 You won't feel cramped when you camp in this spacious RV! It's 37' 6" long, 8' 0" wide, and 11' 1" high! You'll also feel comfortable inside, with stable temperatures provided by the 13500 BTU a/c unit and the 35000 BTU furnace. The master bedroom features an extra snug Queen bed, so you'll be able to drift off to sleep in no time, wherever you are! There are enough sleeping accommodations throughout this RV for up to 10 people! Food always tastes better when you're on vacation and the kitchen means that you can whip up great meals for your family! Stock all your favorite food and drinks in the 6.00 cu. ft. refrigerator and cook delicious burgers, eggs, pancakes and more on the 3 burner range cooktop! And when it's time to do dishes, you'll have plenty of water, thanks to the 57 freshwater tank! Your children don't need to lose any sleep while on vacation! There are extra comfy Quad Bunkbeds inside the bunkhouse, perfect for kids of all ages!